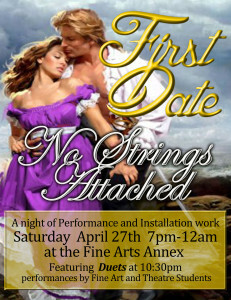 This Saturday, April 27th, come out and see a major collaboration of fine art and theatre students! Come for as long or short a time as you like! 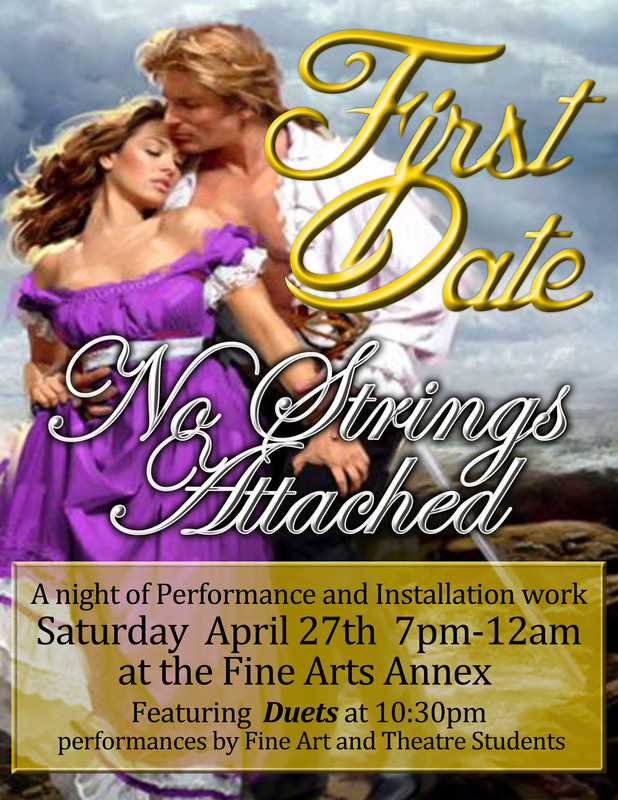 Roam the Fine Arts Annex to see installation and performance work throughout the building. The Fine Arts Annex is across the street from the Art department. Various events will take place from 7pm to 10om and the ‘Duets’ will start at 10:30pm.